Anna Traherne in Editor's Picks Sport on 17 January, 2019. Originally, Murray had expressed his wish to play at Wimbledon this year, given that it is not only arguably the most prestigious Grand Slam tournament on the circuit, but it also takes place on home soil. However, a recent deterioration in his condition means that he may be forced to retire before the tournament takes place in London in July in order to have surgery on his hip. The chances of him returning to the game after the recovery period following this operation are far from certain, yet Murray has made it clear that his primary motivation for undergoing this medical procedure is simply to enjoy a ‘better quality of life,’ rather than for the benefit of his professional career, according to an article posted by the Evening Standard. Regardless of this potential miscommunication, Sir Andrew Barron Murray OBE is certainly deserving of the appreciation, gratitude, and general good-wishes of his fellow rivals, friends and fans. 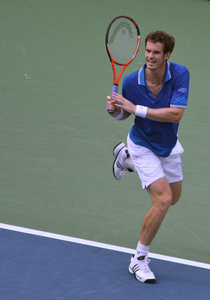 Throughout his career, Murray has reached eleven Grand Slam finals – winning three of them – won two Olympic gold medals, and 14 ATP Masters 1000 titles. His 2012 Wimbledon victory, where he defeated Roger Federer in the final, made him the first British winner of the tournament in 74 years, and his career earnings are in excess of $70 million. His potential retirement will serve as a great loss to fans of the game, particularly the British ones for whom Murray’s accomplishments have massively boosted sentiments of national pride. A statue of him is due to be built at Wimbledon to honour the legacy he has created, which, alongside his knighthood, will serve as a fitting tribute to his contribution to the sport, regardless of whether he has or has not played his final game.